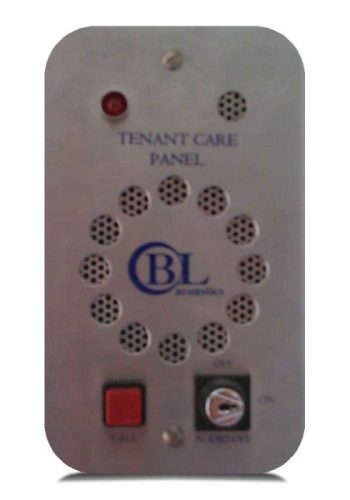 The BLA86-6 Bedhead Panel is a tenant monitoring panel for use with the BLA86 tenant care system. The panel provides for two way audio communication as well as manual call activation and acknowledgement. A keyswitch is also provided for various privacy options. The BLA86 series Tenant Care System is a multi-room audio and call event monitoring system that automatically identifies possible seizure events to the nursing staff. Staff can either be alerted via a manual switch operated in the room or if an incident occurs whereby the occupant cannot reach the manual call switch, staff are also alerted by an audio event trigger caused by an occupant making unusual noises, calling out or falling or from other sensors. Following an audio trigger, staff can talk back to the room occupant to identify the situation.